Have you opened our website because you’re not sure what playground for your children might be the best? Would you like a high-quality product in line with market standards? That is not a problem for us, we will deliver it. Would you prefer a unique solution? Then we’ll be happy to create it for you and with you. 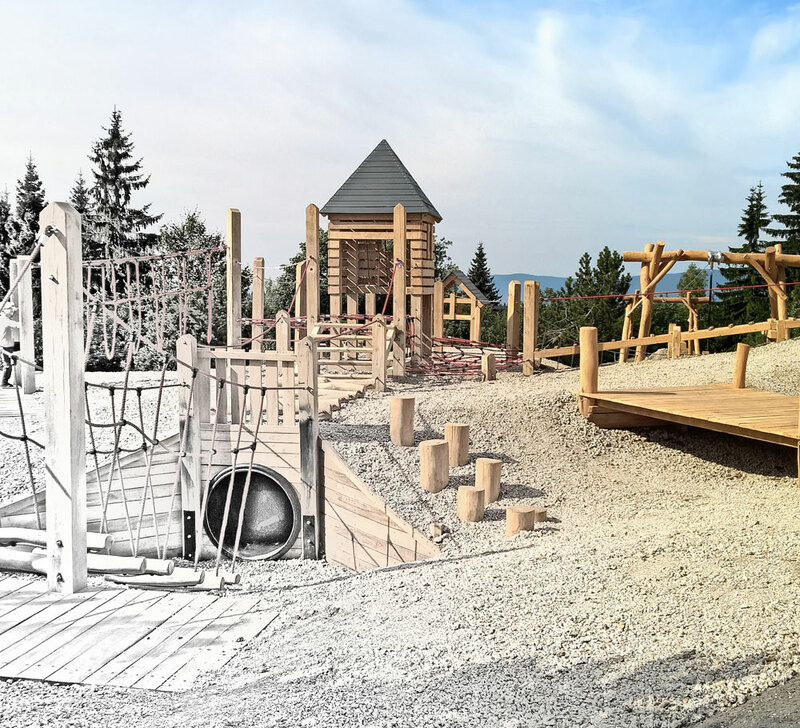 We will design and manufacture an age-appropriate playground based on your children’s wishes, available space and your budget. We take care of everything from design to inspection. Browse through our wide range of products and services. Every month, new products are added. We are pleased to introduce our team, where your playground is being created. We have designed and built more than 3000 playgrounds. Every order and every customer are important for us. worth hundreds of thousands of euros. New ideas and unique solutions are our „playground“. a tailor-made playground for a similar price. and will use your imagination and ideas to design a playground that is truly YOURS. We build our playgrounds from various natural materials. To ensure a long lifetime of our products, we use materials of the highest quality. (the most weather-resistant trees growing in Europe). We mainly use high-strength connecting elements. Individual components are stainless steel or heat galvanised. Polyamide ropes have a steel core. For tailor-made solutions we use special materials.